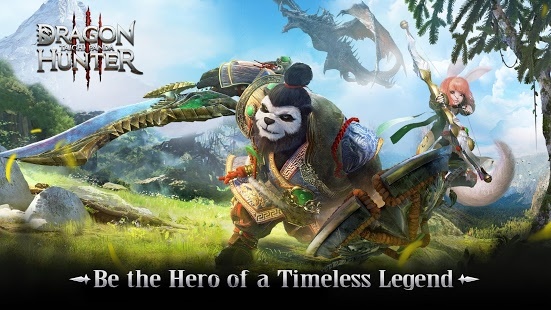 Taichi Panda 3: Dragon Hunter from Snail Games is the latest installment in the MMORPG series, and it ups the ante in action, conquests, monsters and adventure. If you haven’t played this game before, it’s basically about an armored panda and upgrading gear, developing new skills and killing all your enemies. If you’ve played an RPG before, the mechanics and gameplay will look familiar. There’s a system for creating your character and you choose from one of the 4 classes where you can customize the hairstyle, armor and other character features. After creating your character, you begin the game in a small village, and it’s just a matter of tapping the quest markers to get started. Most of the quests involve killing lots of monsters, but there are other objectives as well. As you advance you’ll gain experience and level up. What makes Taichi Panda 3 appealing to a lot of gamers is how quickly you gain experience. Whereas with other games it can take forever, here you’ll be leveling up rapidly, which should motivate to keep going. The controls are simple too, and the button on the side takes you to the next objective. No need to guess what your next quest will be as the game takes you there and this feature should appeal to casual gamers. Taichi Panda 3 isn’t just about slashing and killing monsters as there are other side quests and missions to accomplish. Along the way you can also collect gold and upgrade your skill set. All in all, this is one MMORPG you’ll enjoy.